BANGI, 18 June 2012 – Malaysia’s present warm ties with China can be partly attributed to the policies of Deng Xiaoping when he was Paramount Leader in Beijing some thirty years ago. A Chinese scholar from Harvard University, Professor Emeritus Ezra F. Vogel said Deng made some ground-breaking policy changes in the early eighties that transformed relations between China and the region which were still felt today. Speaking at a Public Lecture Series bearing his name hosted by The National University of Malaysia (UKM) on Deng Xiaoping: the transformation of China and his relations with Southeast Asia today, Prof Vogel said although diplomatic links with Malaysia and other countries in the region had been forged since the seventies, it was during Deng’s stewardship that the region became closer to China. This is the fourth lecture of the Harvard Ezra F Vogel Malaysia/Singapore Initiative Public Lecture Series, sponsored by UKM, University Harvard Asia Centre and the Lam Kin Chung Morning Sun Charity Fund. 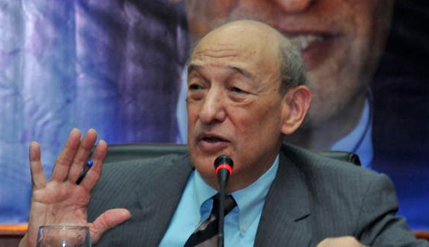 Prof Vogel is the Henry Ford II Professor of the Social Sciences Emeritus at Harvard. Vogel has lived and done research in both China and Japan and is fluent in both languages. He said when Deng took over the leadership in China, in the late seventies he began withdrawing moral support for revolutionary movements in Southeast Asia and eventually halted material aids to guerrilla groups. Some credited Deng with the laying down of arms by the Malayan Communist Party in 1989, a major milestone in the history of Malaysia and Singapore. Deng was also seen as the leader that settled the centuries-old festering issue of Hong Kong that saw Chinese sovereignity restored in 1997. Prof Vogel said these positive changes in international relations, including better ties with the United States and the West, were nevertheless overshadowed by another major reform Deng initiated – the Chinese economy. Prof Vogel described the liberalising of China’s economy in the late 70s, known as the “Spring of the Thousand Flowers” as Deng’s greatest triumph which turned the sleeping giant into the world’s powerhouse of industry. His economic reforms, however, might have come too soon for the ordinary Chinese to appreciate a sudden liberalising of the market in the late 80s, resulting in very high inflation which then led to the infamous incident at Tian An Men square. Under Deng’s leadership the Chinese, for the first time in the modern era, became wealthy and the nation became strong. China had never been a global power until it became one under Deng’s leadership. In the two decades after Deng set the nation on its new path, it became the second largest economy in the world and for the first time in its history also becoming a predominantly urban society. Prof Vogel said many high officials believed in reforms and opening up the country after the disasterous policies of Mao Ze Dung in the fifties and sixties. But it was Deng, who himself was a victim of Mao’s purges during the so-called cultural revolution, who made the reforms possible, Prof Vogel said. Few people expected Deng to be the reformer as throughout the existence of the People’s Republic since 1949, Deng was seen as a dedicated Communist revolutionary. However, maybe his fall from grace during the cultural revolution in the 1960s changed him to the point that he thought China could not afford to continue being in political and economic turmoil. Despite Deng’s major leap in economic reforms that still reverberates today, his legacy was somewhat tainted by his mishandling of the Tian An Men protests that became a massacre in 1989, Prof Vogel said. His reform credentials were almost forgotten as he was remembered in the West as the one who ordered the tanks into the square. While many in the West saw it as a demand for democratic reforms, others thought the ordinary people could not cope with the 30% inflation which drove them to do the unthinkable – openly demonstrate against the Communist Party which had been in power for years. Prof Vogel said he was encouraged to seek the contrasts in the paramount leader’s policies by the remarkable turnaround that occurred in China. After completing his book Is Japan Still Number One? in 2000, his wife Charlotte suggested that he write something about China because she sensed that it was going to surpass Japan as a major economic power. 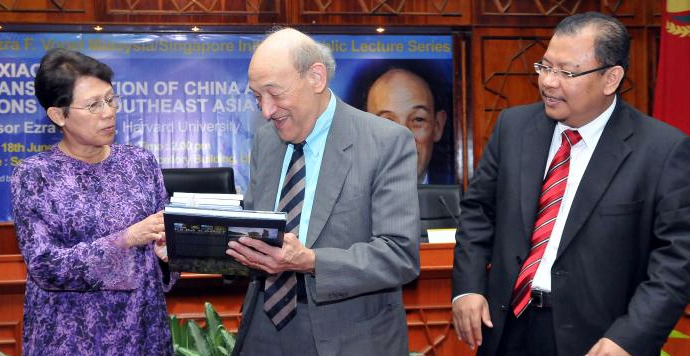 So he authored Deng Xiaoping: the transformation of China and his relations with Southeast Asia. He has received 10 honourary degrees. In 2008 he received the Harvard Graduate School Centennial Medal for contributions to society. Prof Vogel, now in his 80s, has spent over 10 years since retiring from Harvard in 2000 writing the new biography of Deng.